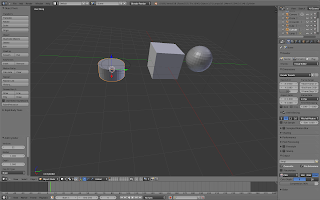 I've started teaching myself how to create a 3D object. 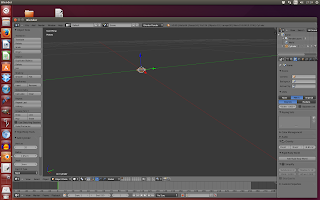 Last time, I learned how to create a sphere (SHIFT-A > Mesh > UVSphere) in Blender, an open-source 3D graphics programme. Through a combination of accidental button-mashing, I've learned how to rotate the camera slightly: using the scroll-wheel and different combinations of ALT, CTRL, CTRL-SHIFT. So, 1.8 goals down. 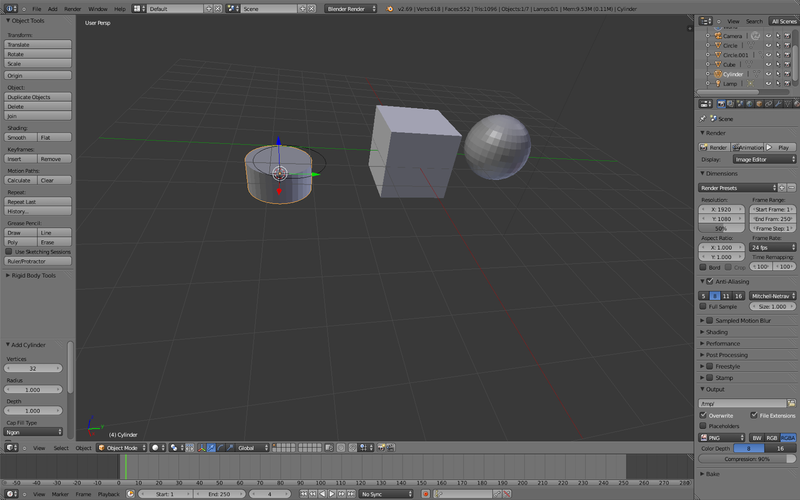 Now to try and figure out how to make a disc and then make it 39mm in diameter and 3mm thick. 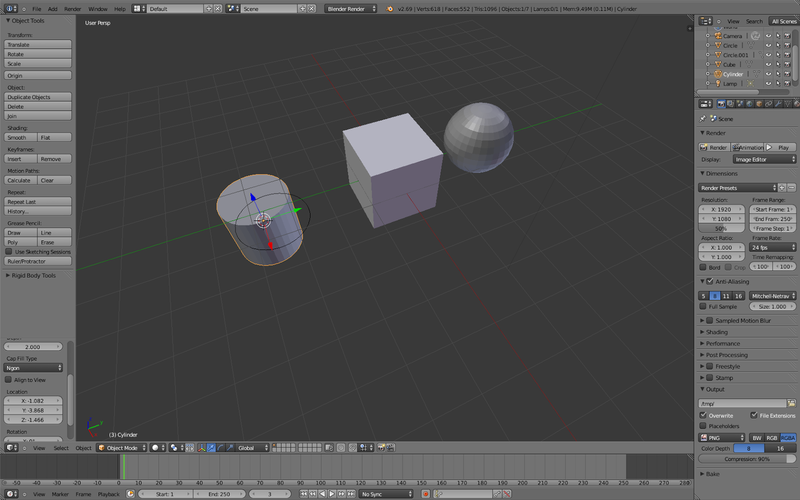 Checking the Mesh > Shape options, it looks like 'cylinder' gives me exactly what I want. But the default cylinder is too thick. I want to adjust its dimensions. There has to be something on-screen that'll let me define that. Looking at the Object tools menu, there's a section that's specifically about the cylinder--and it has categories for vertices, radius, and depth. So it looks like adjusting the dimensions is easy. 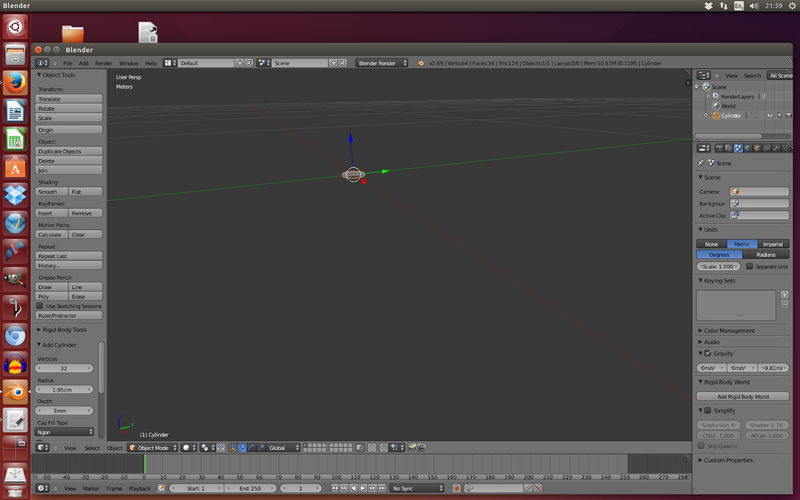 But how do the units that Blender uses correspond to the real world? What is a radius of 1 in millimeters? A small bit of fiddling around later, and I've created a 39x3mm token!